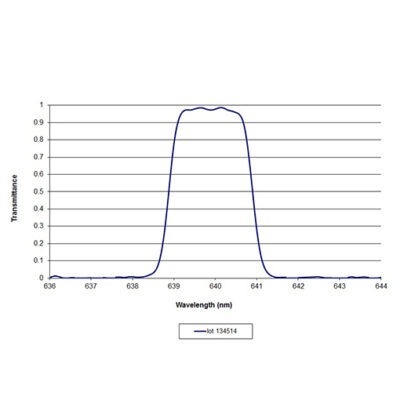 Iridian has an extensive range of spectroscopic bandpass filters including laser and spectral emission line filters, emission and excitation filters. Please select the desired bandpass filter from the product list below. If you do not find the specific bandpass filter shape or blocking you require, please contact us directly.